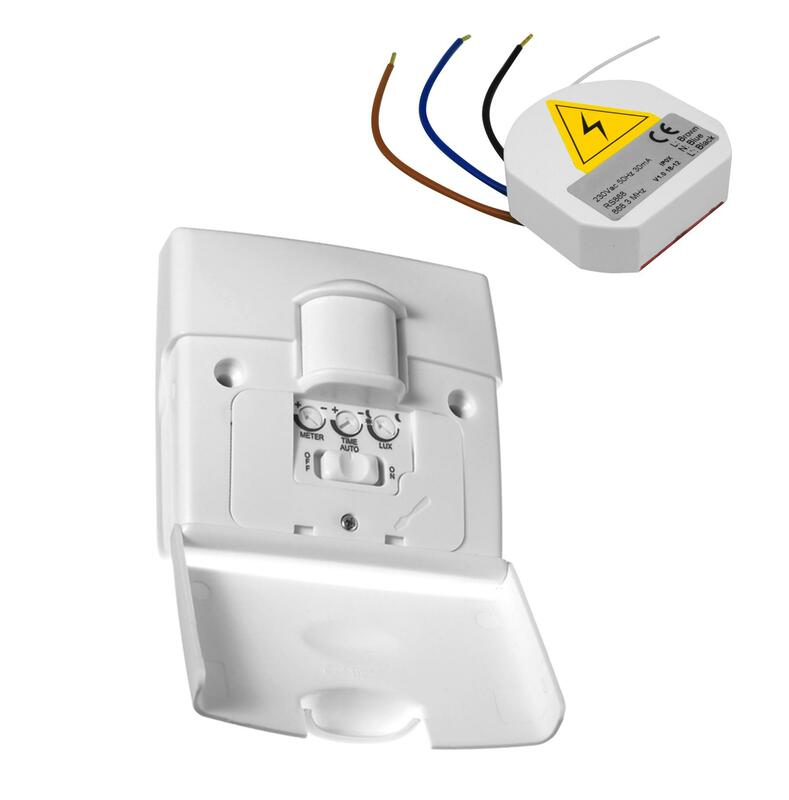 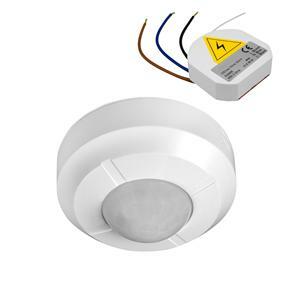 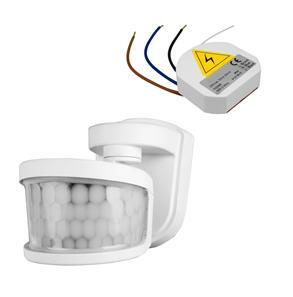 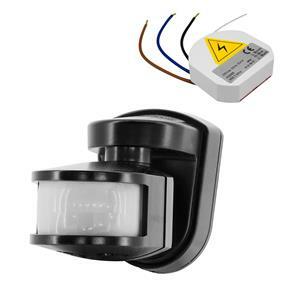 The Wireless PIR Sensor Kit 240V is a Wise Transmitter with a 180° Motion Sensor PIR Light Switch. The Wise Transmitter enables the PIR to be used wirelessly with all Wise Receivers. 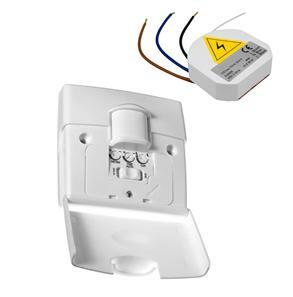 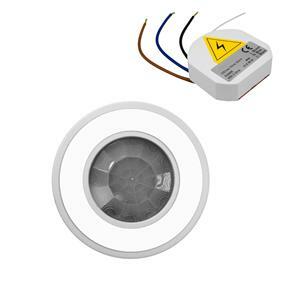 The transmitter is small enough to be placed in many locations, for example, in the ceiling, in the wall either through it, behind a recessed light fitting or in a surfaced mounted fitting. 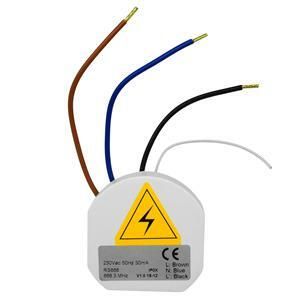 The transmitter should be placed in a suitable insulated box. 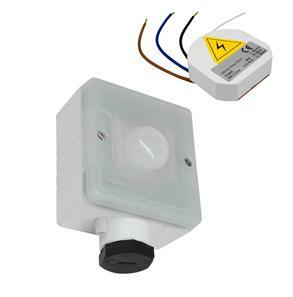 It can be fitted into a small waterproof box to allowed it to be used outside for your garden lighting, garage doors and water features. 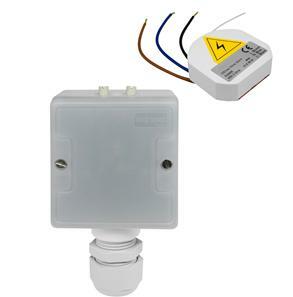 The transmitters are designed to be simple to install, easy to use and most importantly, reliable.